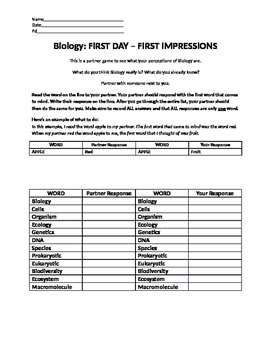 This was designed as an icebreaker activity in order to get students to collaborate with one another and get to know each other on one of the first days of school. It also familiarizes them with some new vocabulary that will be discussed later on in the year. This can serve as a formative assessment for students' prior knowledge.